You can never have enough sneakers, Comfy, sturdy and reliable, not to mention stylish and with too many options to choose from, sneakers are the perfect shoe from dawn till dusk. The throwback trend is the gift that just keeps giving— we’re well into the 2010s but we definitely aren’t sick of the iconic 90s yet. Sporty elegance meets modern minimalism in the Lacoste WildCard, that nods to Lacoste’s tennis heritage, drawing inspiration from the original design of the brand’s iconic LT 150 Court sneakers. The WildCard combines style with function, featuring a thick sole specifically designed for asphalt, with triple density cushioning and flexible grooves for comfort you can take for granted. 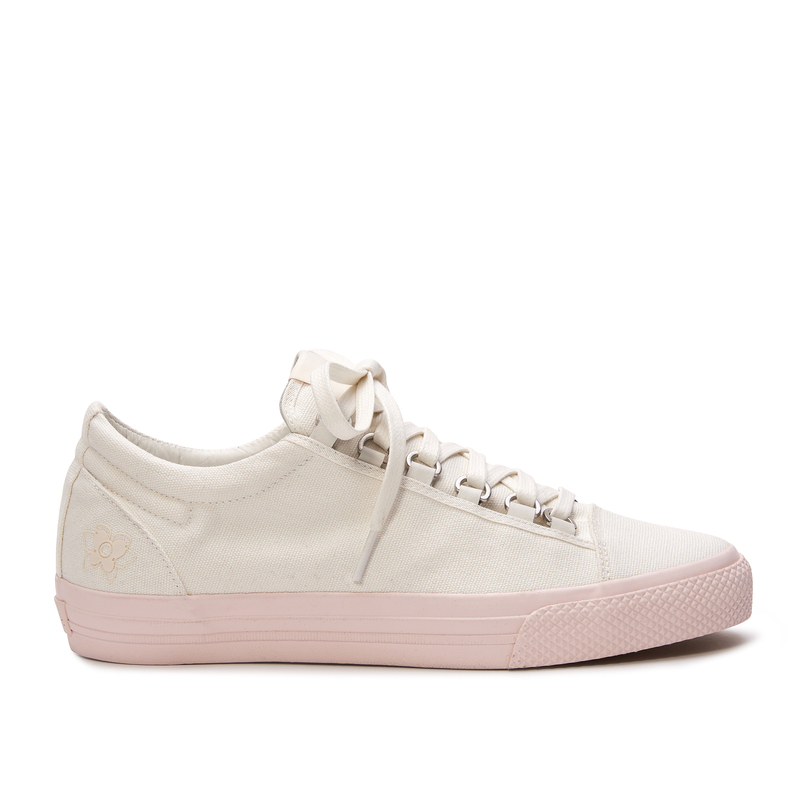 Its upper fuses soft leather and mesh for a sleek streetwear look. For fans of the Italian brand, here’s a treat for you! 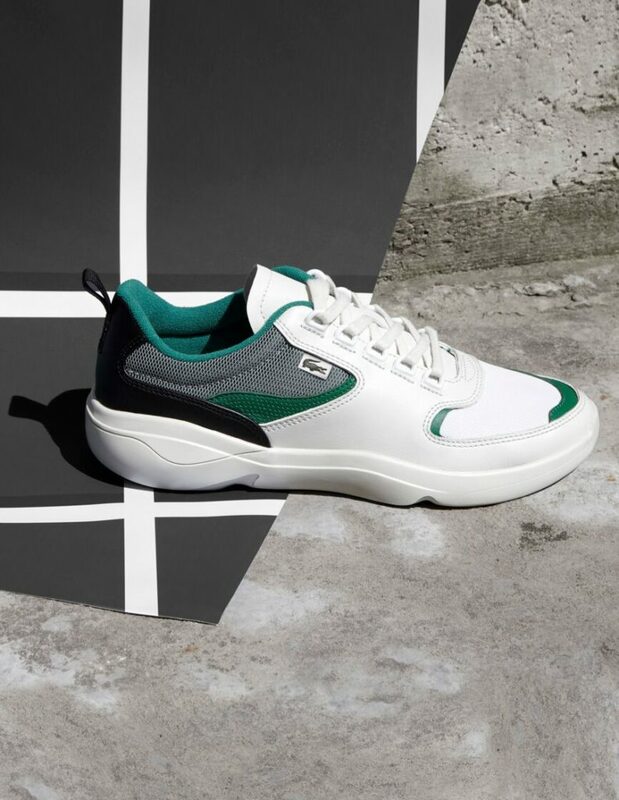 Along with their SS19, Furla will release a sneaker collection that blends the Furla aesthetic with the everyday practicality and effortless style of the sneaker shoe. 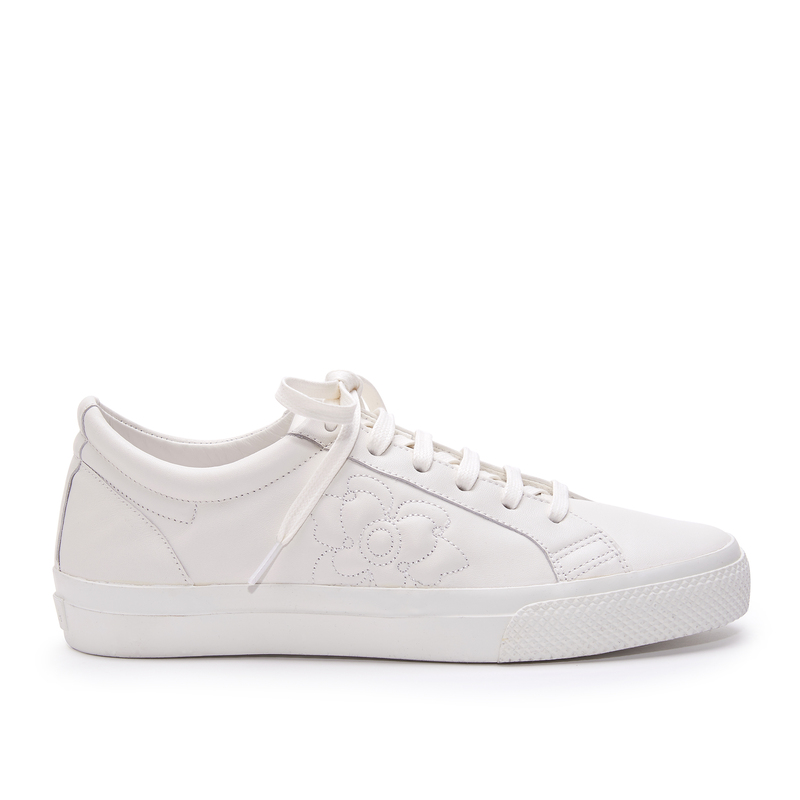 Furla Sneaker consists of three models, the Kurt, Run and Hikaia, and a variation, the Run Candy. The common thread that synthesises the collection is the modern, chic colour palette, in the same style of the iconic Furla bags. Whether you prefer dreamy pastels or bold brights, there is something for everyone. Some colours include powder white Chalk, delicate beige Petal, the new sky-blue Crystal, as well as acid green Ranuncolo, light Aquamarine and earthy Moonstone. The star of this collectIon is the Furla Kurt, staying faithful to the 90s throwback trend that is still going strong. The Furla Run draws inspiration from the 1970s, with nylon as its primary material and featuring the cut of a classic running shoe. The Furla Run Candy is the whimsically romantic sister to the Furla Run. 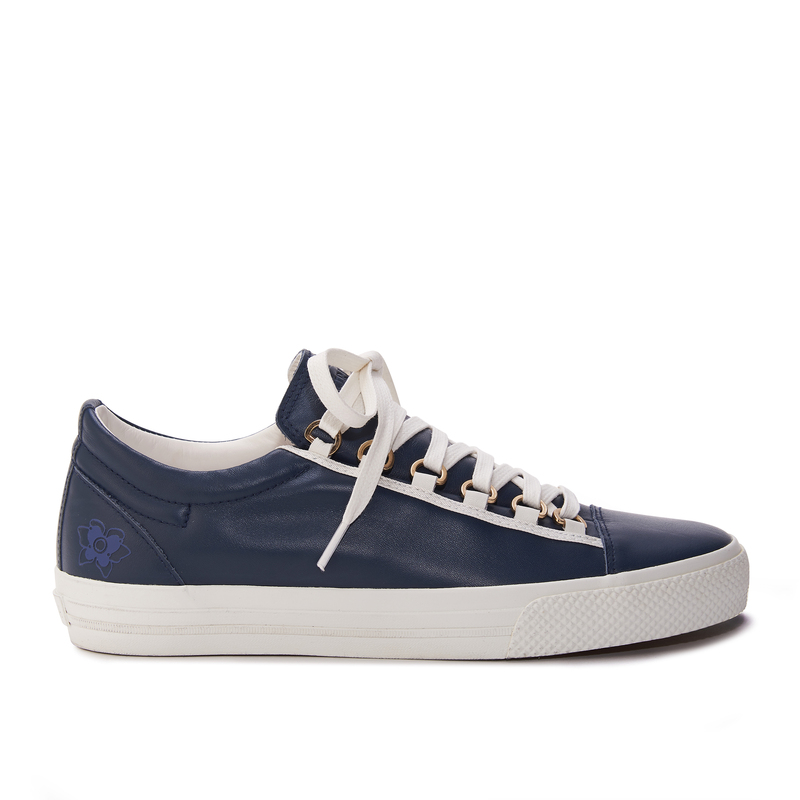 Finally, the Furla Hikaia offers a low-cut style, with the most colour options of the sneakers in the collection. Furla Kurt, Furla Run and Furla Run Candy, $285 to $335, available in Furla stores and online at furla.com, Furla Hikaia will be out in July. Drawing inspiration from peaceful Japanese zen gardens, which use sand and stone in their landscape, the Mexico 66 SD (ZEN) is understated yet modern. Its upper features high-quality leather with no metal elements, for a traditional, clean look. 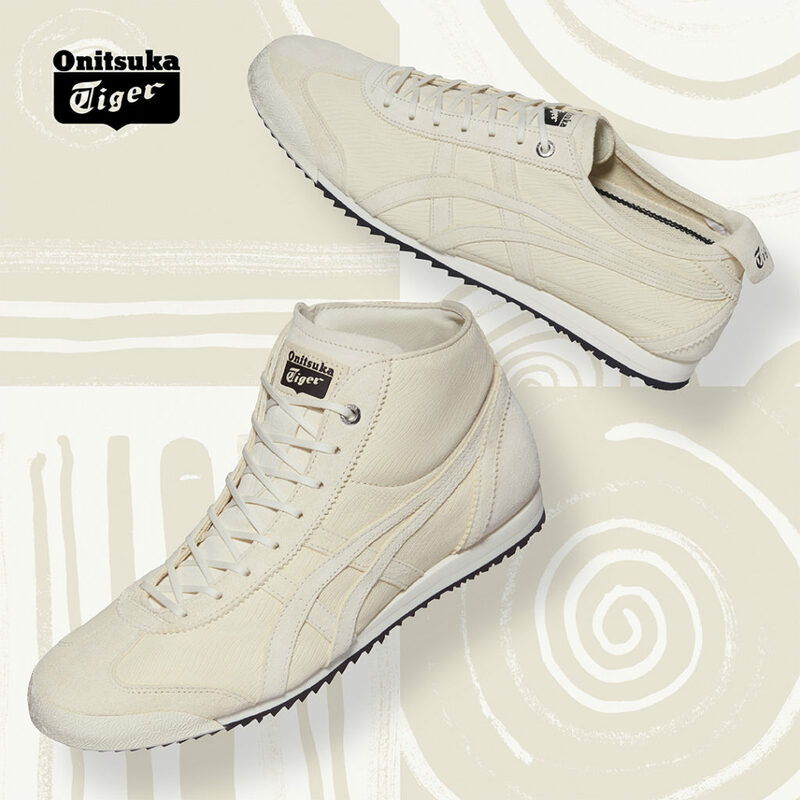 The Mexico 66 SD Series was released as an updated version of the Onitsuka Tiger classics the Mexico 66 and Mexico Mid-Runner in 2018 to mark 100 years since the birth of company founder Kihachiro Onitsuka. The new versions featured three improvements: AMPLIFOAM in the midsole and heel wedge for more cushioning, a rubber outer sole for better grip and durability; and an Ortholite inner sole; all which feature in the new series. YEEZY fanatics rejoice! The new adidas + Kanye West YEEZY BOOST 700 Inertia is beyond stylish in cool suede blue and candy orange tones. The shoe features a full-length drop in boost midsole, an upper of dual blue suede overlays and premium leather with mesh underlays and coral heel details. The shoe has a cream gum sole, with reflective heel and the distinct Three Stripes. 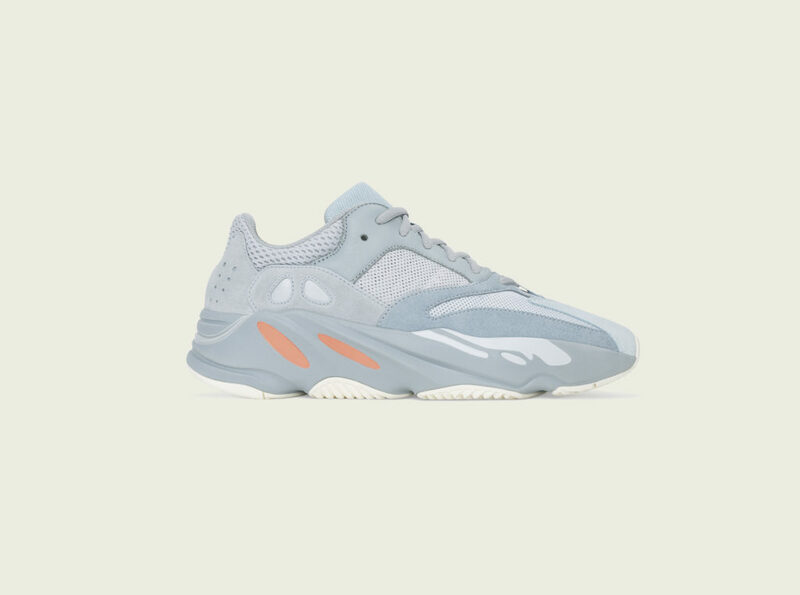 The YEEZY BOOST 700 Inertia, $450, available on adidas.com.sg/YEEZY and adidas Originals at Pacific Plaza. The Vans ComfyCush sneaker is true to its name, offering maximum cosiness— and we can all appreciate a comfy sneaker for throwing on without thinking on easy breezy days. The Vans surf collection presents a casual design with the functionality to suit most creative surfers, while providing a classic, versatile silhouette with an emphasis on comfort. The ComfyCush Zushi comes in a bright lapis blue with white contrast details and sole for a colourway mimicking the ocean. Local availability and price TBA. 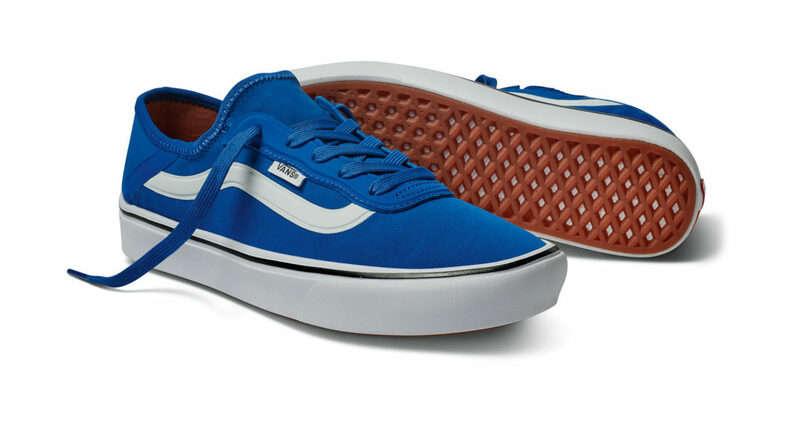 vans.com/surf. Needless to say, New Balance did not come to play! Here are their five hot new sneaker models that will leave you spoilt for choice. The Fresh Foam V2 puts an emphasis on high comfort for high impact. Laser-engraved Fresh Foam provides cushioning to support intense activity, and its data-inspired midsole gives additional reinforcement. The Fresh Foam Lazr V2, $159, available at New Balance stores islandwide. The MADE 997 Bison is a quintessential New Balance shoe, drawing on the brand’s heritage and authenticity. It is a reliable design reimagined with premium quality. It has an American Bison upper for a clean silhouette, and the material is also softer, but more durable than traditional leathers. In additional to the leather upper, the 997 Bison also has a leather lining, and reflective details on its underlays. 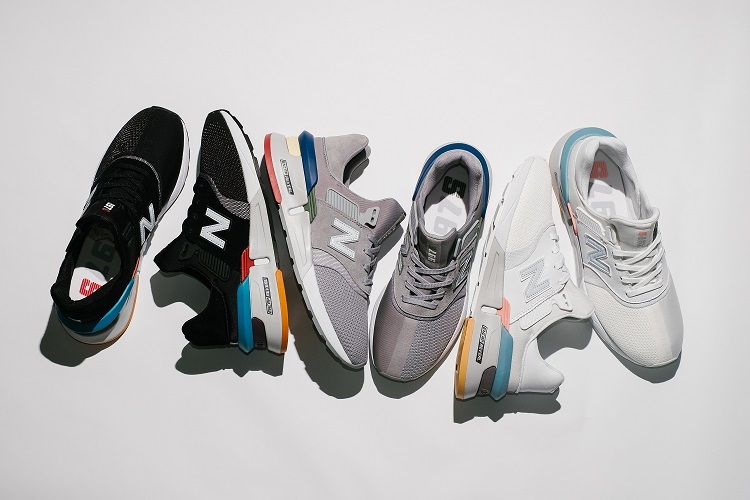 The MADE 997 Bison, $449, available exclusively at the New Balance Paragon outlet. The 997 Sport Component is incredibly stylish with versatile base tones spruced up with pops of colour on the heel. This modernised version incorporates heritage-inspired design details into an all-new bootie construction with durable quality and fit. The sneaker also features ABZORB and ENCAP midsole cushioning for all-day support. The 997 Sport Component, $189, available at the New Balance Suntec City, Paragon, Novena Square and Bugis Junction outlets. The 574 Sport V2 is a modern spin on one of the most iconic New Balance models, the 574. The V2 is versatile and chic, optimised for contemporary needs. This style uses New Balance’s Fresh Foam technology for maximum comfort and performance. The 574 Sport V2, $159, available at New Balance stores islandwide. 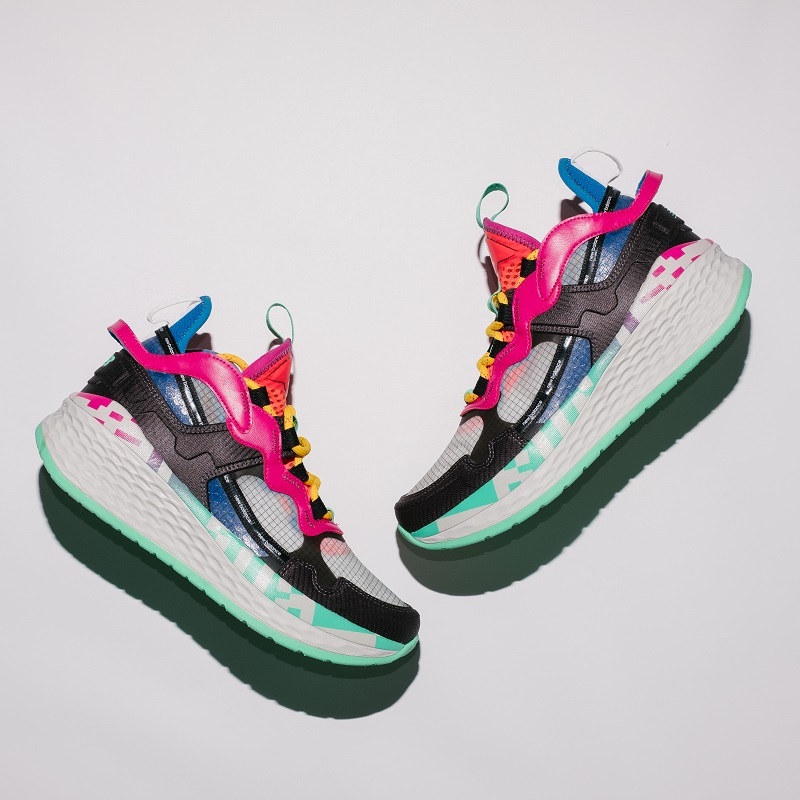 This limited edition model was created by Adara Dillabaugh, a Design Foundry Apprentice in the New Balance Global Design Center, who was inspired by the performance running shoe Fresh Foam More. This shoe is an absolute beast, and we mean that in the best way. It features a robust white midsole that is both soft yet supportive. Its chunky silhouette is extremely stylish in futuristic space-inspired colourways, with bold, bright accents. 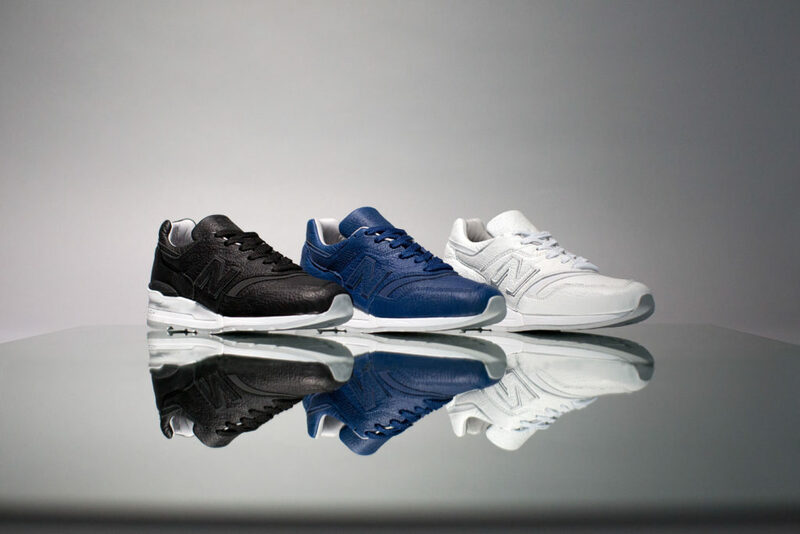 The Test Run, $229, available in limited quantities at the New Balance Paragon and Bugis outlets. 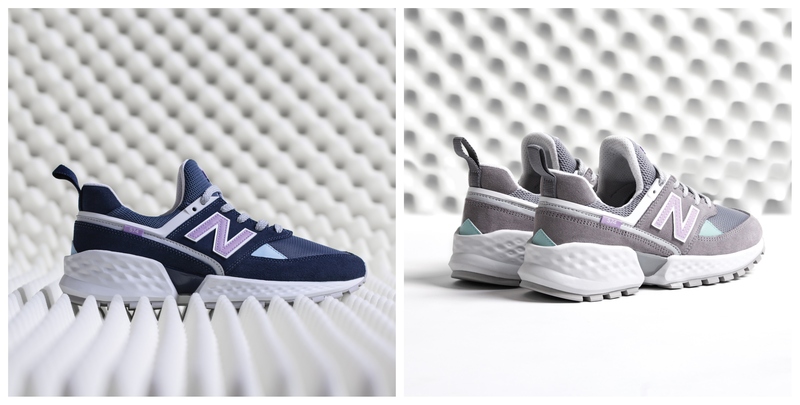 For more information on the latest New Balance sneakers, visit newbalance.com.sg. 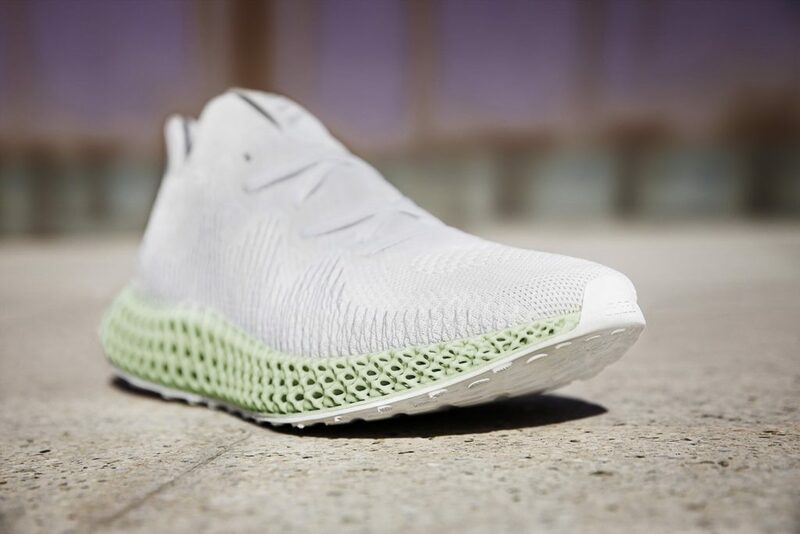 Engineered with ADIDAS 4D technology for controlled energy return and breathable cushioning, the ALPHAEDGE4D is a cutting-edge, high-perfomance shoe. The ALPHAEDGE4D features a sleek white Primeknit upper, woven with FORGEFIBER technology for a lightweight, breathable fit. It has a durable Continental outsole to provide strong traction and grip regardless of terrain. Its intricate lattice midsole, printed with light and oxygen using Digital Light SynthesisTM. absorbs pressure and returns energy, propelling the foot forward whilst supporting movement. This spunky collection combines the well-loved anime One Piece with an elevated version of the popular Skecher’s D’Lites 3.0. 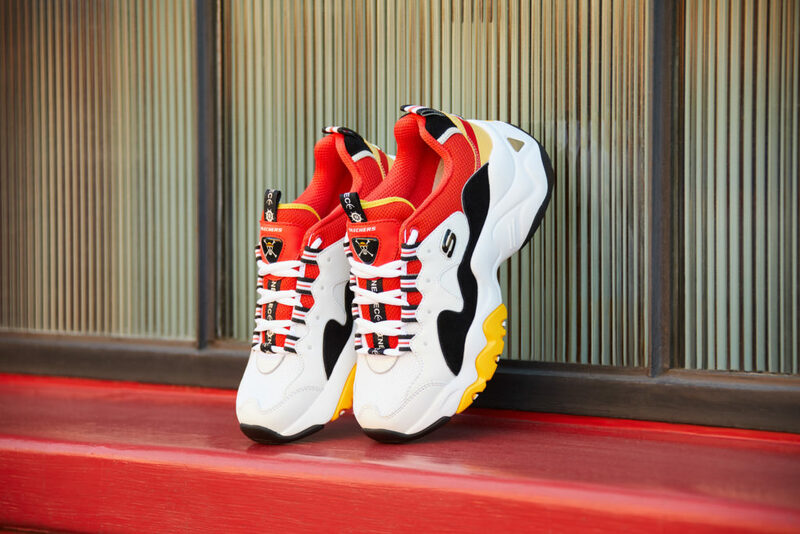 The chunky shoe gets a stylish pop of colour in distinct colourways inspired by unique One Piece characters: Monkey D. Luffy, Portgas D. Ace, Trafalgar Law, Jinbe and Marshall D. Teach (Blackbeard). This includes detailed touches fans will appreciate, like the black and white square motifs from the character Jinbe’s coat, and protagonist Luffy’s iconic straw hat. 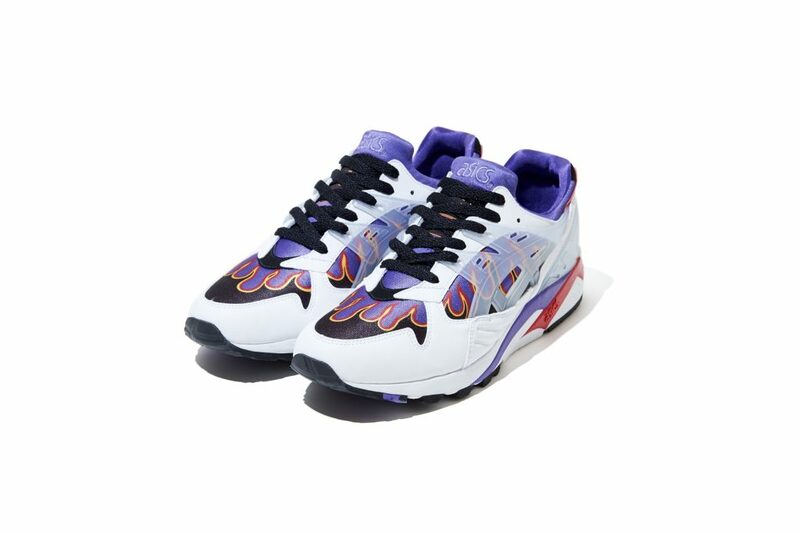 Even if you’re not an ardent anime fan, there is no denying the trendy retro construction of this sneaker. 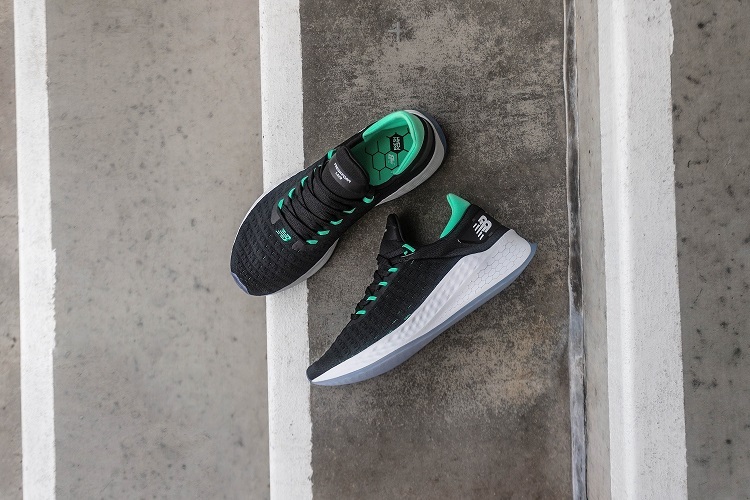 It is based off the third series of Skechers’ heritage D’Lites collection, and the 3.0 features an even chunkier outsole for a contemporary take on the classic old school sneaker profile. 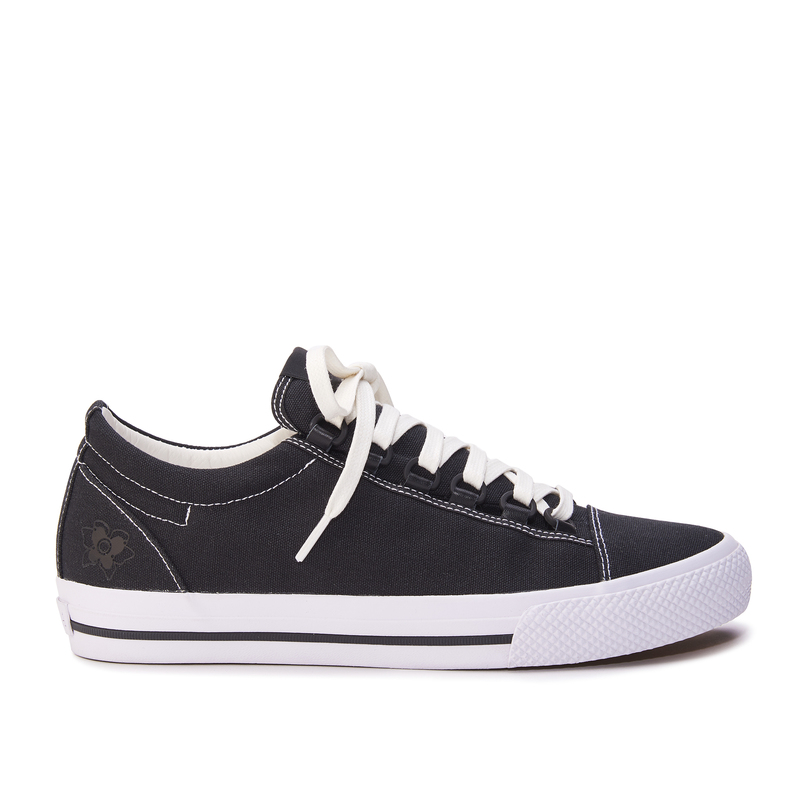 Its upper consists of smooth leather and mesh panels for comfortable breathability, combining style and functionality. 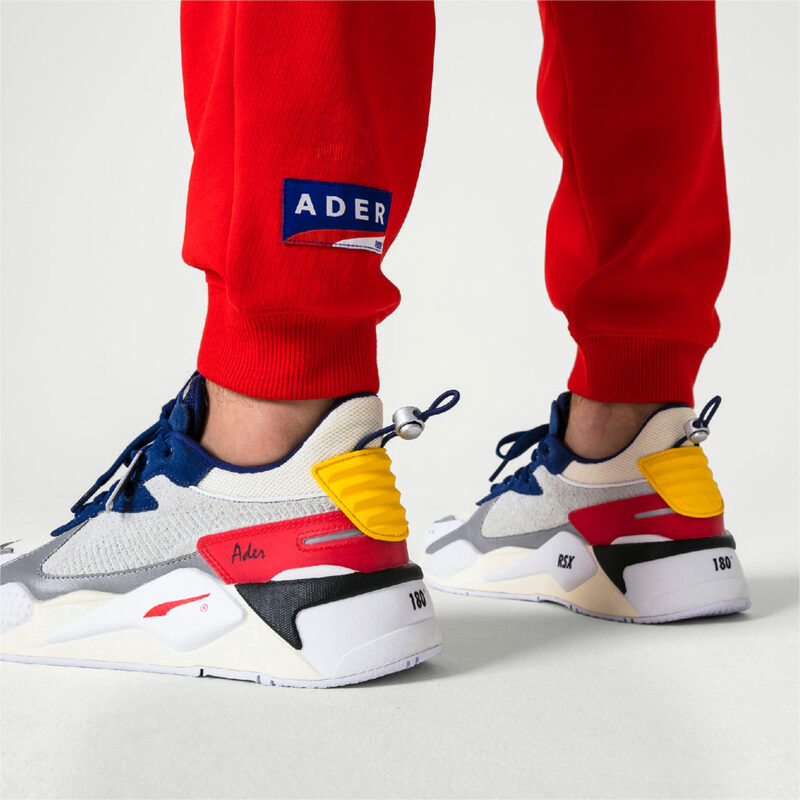 Themed “FASTER THAN YOUTH”, the second collaboration between ADER ERROR and PUMA aims to push trends and innovations to the max. The collection of course draws inspiration from the freshness and creativity of the youth, who represent the future. This collection is a delightful blend of retro and futuristic, taking two trends from opposite ends of the spectrum and combining them seamlessly. 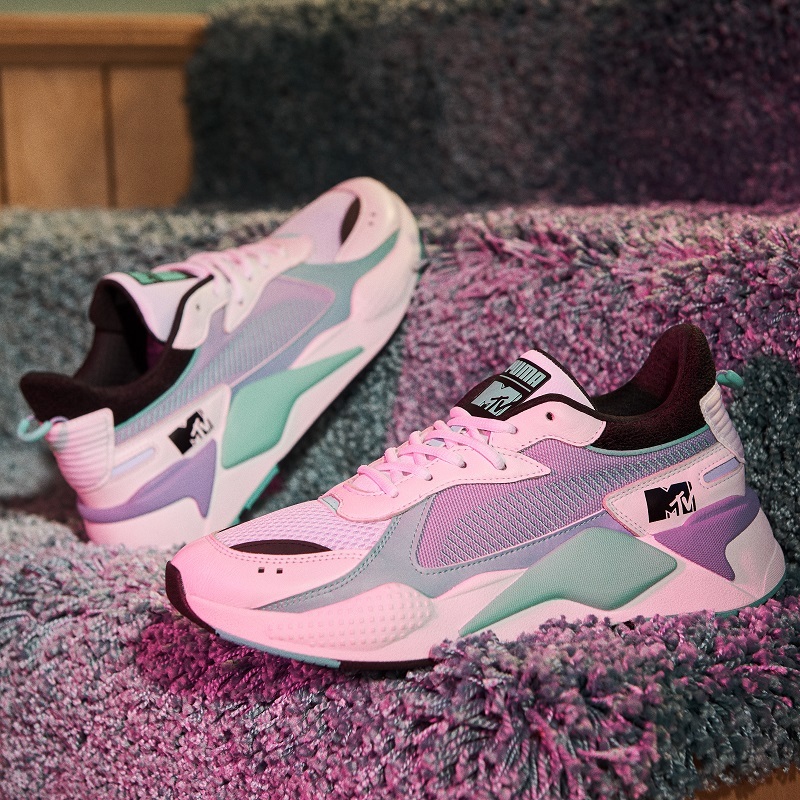 Pop culture meets sports fashion with PUMA X MTV, starring a special-edition RS-X sneaker in a future-retro design and colourway, paying homage to the reinvention of music culture. 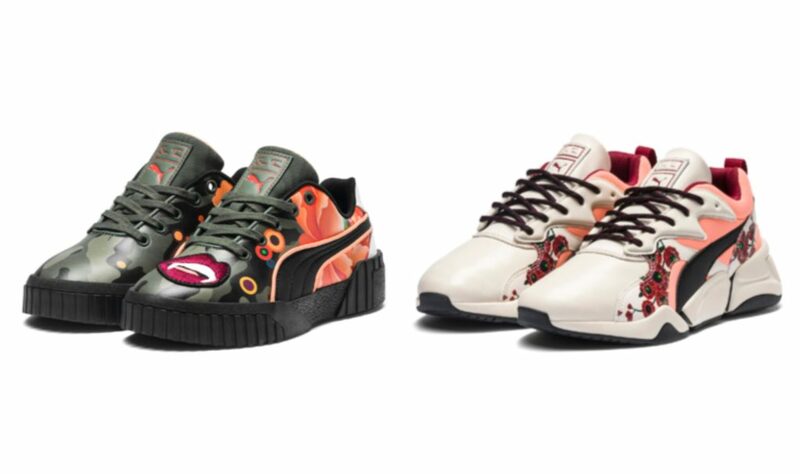 For this collaboration, PUMA worked with New York-based artist and designer, Sue Tsai, to create a bold and edgy collection characterised by floral motifs rendered in her signature style. 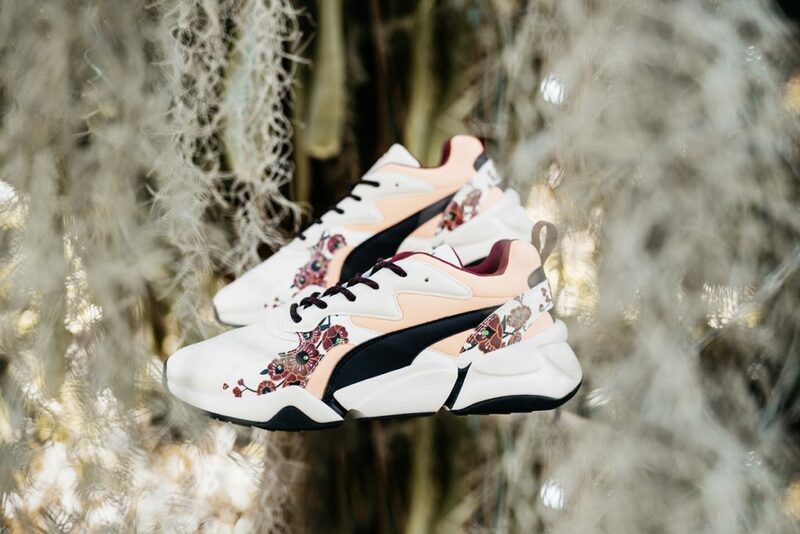 Vivid cherry blossoms and lotus plants are emblazoned across classic PUMA shoes, combining art with the practicality and comfort PUMA is known for. Sneakerwolf is a Japanese artist known for his work that draws heavy inspiration from Japanese culture and history. In keeping with this, the ASICSTIGER X Sneakerwolf GEL-KAYANO TRAINER™ references 18th century Edo period Japan. Historically in this period, Japanese commoners were forbidden to don showy, shiny materials or wear royal colours like purple, red and gold. 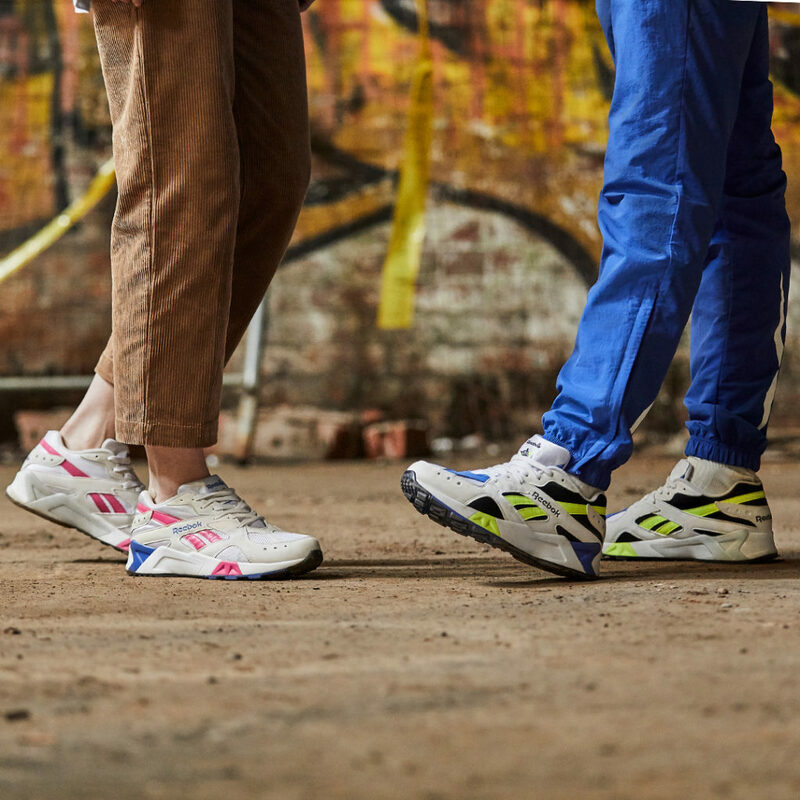 Expressing a theme of rebellion, the Sneakerwolf GEL-KAYANO TRAINER™ uses these rich colours to create a bold look. 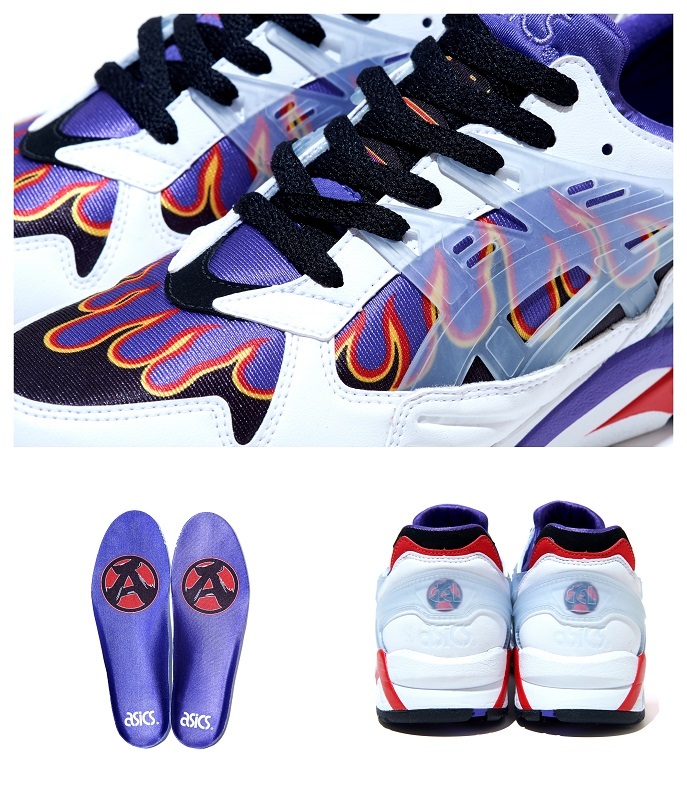 It features a white and purple mesh, with a synthetic leather upper, adorned with a fierce flame graphic, red detailing and translucent gel ASICS caging. The flame graphic plays on the classic Japanese expression “fires and fistfights are the flowers of Edo”. The sneaker insole design also features a circular ‘A’ written in Sneakerwolf’s distinct Kanji-graphy style. 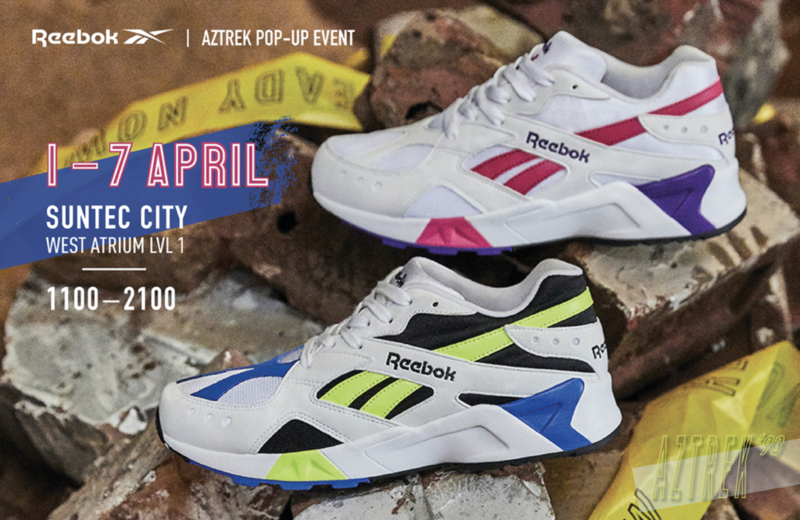 It’s a blast from the past with the Reebok Aztrek! 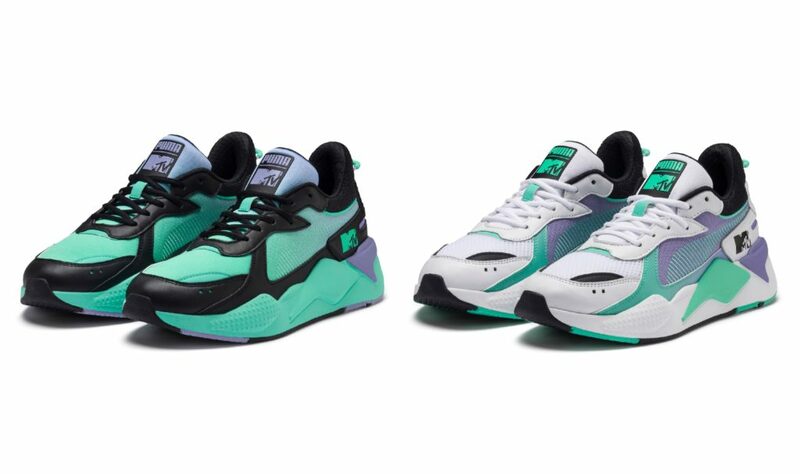 Originally designed in 1993, the sneaker has now been updated with fresh new colourways for the 2019 collection. Built to be an all-terrain shoe, the Aztrek uses Hexalite technology in the heels and boasts an asymmetrical toe design and studded rubber outsole for wear and tear. Check out the three Aztrek silhouettes below, including a collaboration with Gigi Hadid! 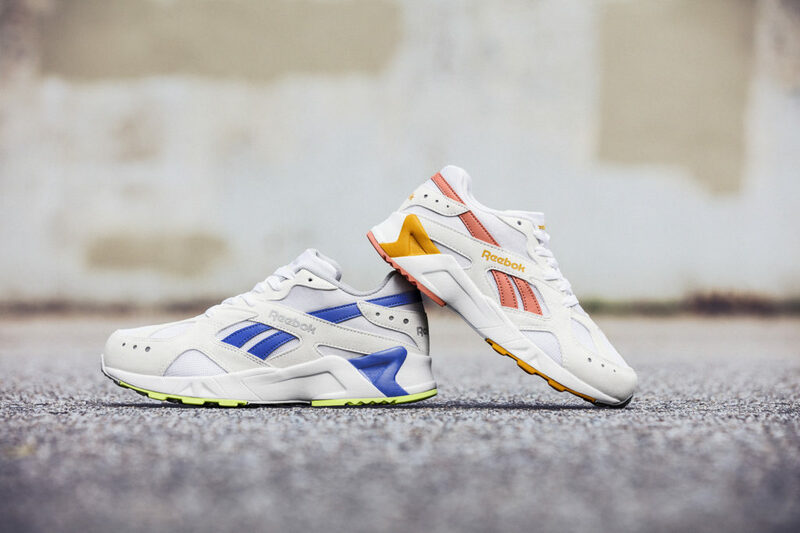 The Aztec 93 features 90s-inspired colours and channels a retro vibe. They are constructed with a blend of textile and suede, as well as Hexalite cushioning for added comfort! They come in three colourways. Fun fact: Gigi Hadid was a former volleyball player and equestrian, and this collaboration draws on Hadid’s background in sports as well as Reebok’s heritage. This sneaker features bold stripes and colour-blocked patterns in true 90s style. It is available in two colourways. Straight from the running-shoe archives, the Aztrek Top is a real throwback! Continuing the 90s vibe, they feature bright colourblocked accents. 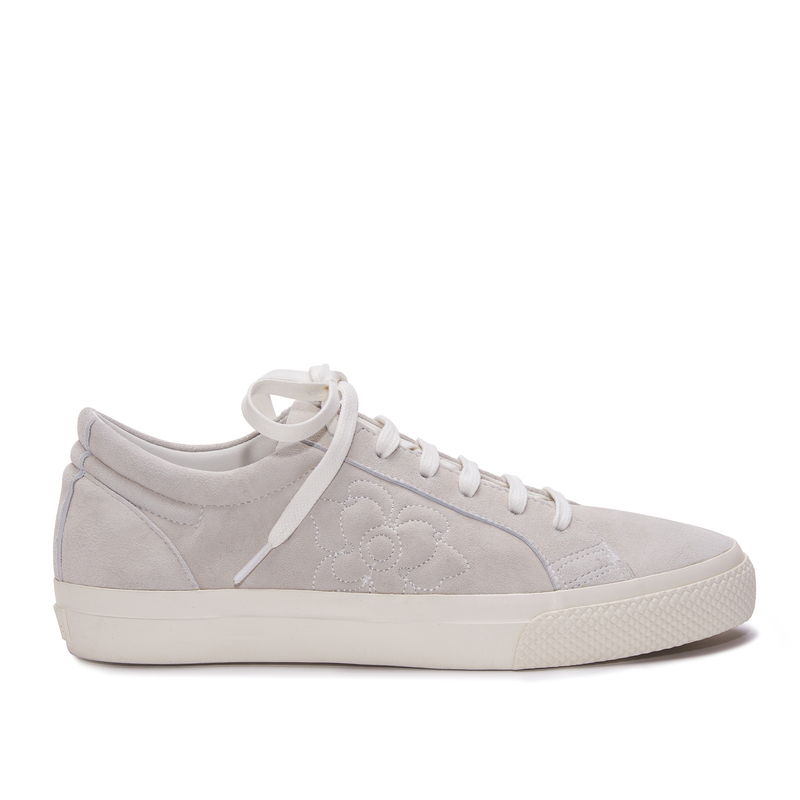 With soft faux suede and fabric upper and ultra-soft cushioning, these are also optimised for your comfort.